By Zeinab Khalil, LSA Sophomore at the University of Michigan. It’s been one year since a young man from Tunisia lit himself with a fire that continues to emblaze our world today. One year since the 26-year-old, college-educated-turned-fruit-seller Mohamed Bouazizi immolated himself in an act of severe frustration and desperation against a corrupt, unaccountable and brutal police state. Just ten days after his death, following the rage and protests of the people, Ben Ali’s dictatorial regime was over. And now, the puppet presidents and ruthless tyrants of the region continue to drop, one after another, like dead flies. 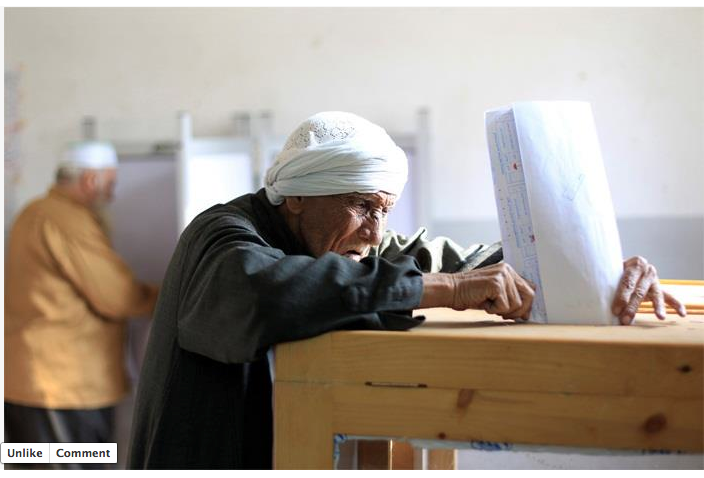 Egyptians of all ages voting for the first time. It’s been one year since the start of the revolutions in the Middle East and North Africa, an inspirational phenomenon that has captured the hearts and minds of people all over the world – rightly earning the title of the soul of the global revolution that we are witnessing today. The vain despots and their loyal forces have demonstrated that they are willing to do everything they can to maintain their authoritarian grips on power, while the protesters have just as passionately demonstrated their will and determination to drive them out of power. Thousands of protestors have been killed and continue to be killed in cold blood by the repressive state security apparatuses. Thousands more have been injured, losing an eye (both eyes in some cases), limbs and in many cases, have become paralyzed for life. Yet it is the determination and perseverance, the hope and vision of something better that keeps these people coming out day after day despite the fact that their bare chests are met with live bullets, their signs with tear gas canisters, and their chants with mass arrests and criminal convictions. All because they dare defy an oppressive authority that tells them that they can’t. And yet, despite the bold and poignant images and stories we’ve seen and heard by these ordinary citizens doing extraordinary things, some continue to question and undermine the efforts of the movers of these revolutions, who are restless and steadfast in their demand for freedom, dignity and accountability. Some have decided to take on the official voice to continue to tell the people that they can’t. 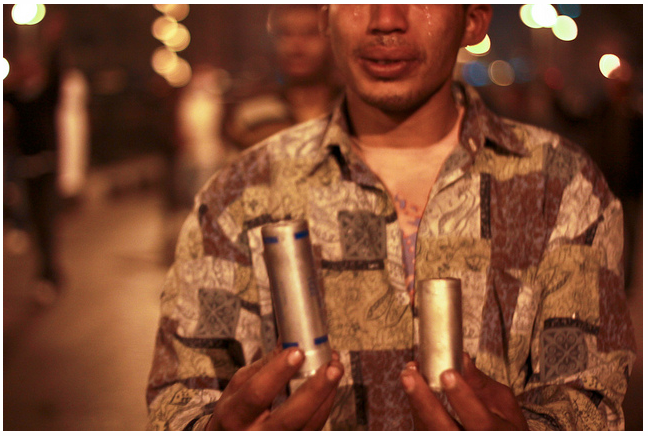 Tear canisters shot at protesters. I have something to tell Yaalon and any other Orientalists out there who use their rhetoric to subordinate Palestinians and disdain Arabs by justifying dictatorships and authoritarianism. My 80-year-old grandmother went out to vote for the first time in her life this week. 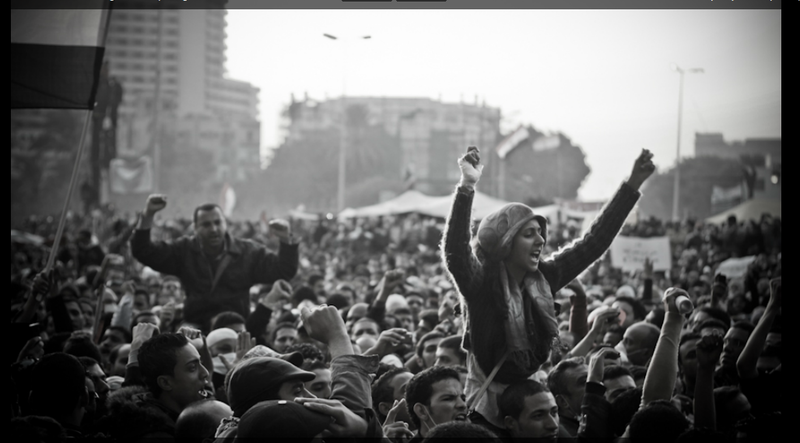 After waiting for so long, she does not need to be chastised or slapped on the wrists for practicing an inalienable right that she and her fellow Egyptians have had to fight vigorously for. And she certainly does not need to be told that she isn’t ready for democracy by supremacist politicians who dismiss the freedom and dignity of others for the sake of some pseudo stability. She’s already heard enough of that nonsense under the military dictatorship that’s haunted her country for many years, as have many Arabs with their respective, repressive dictators for the past decades. Pro-Democracy protests erupted across the Middle East and North Africa against authoritarian regimes. For Israel, it isn’t an issue of democracy or elections coming at a bad time. It isn’t even about elections or time. For Israel, Arabs will never be ready for democracy. Israel does not give a hoot about democracy for people who aren’t Israeli. 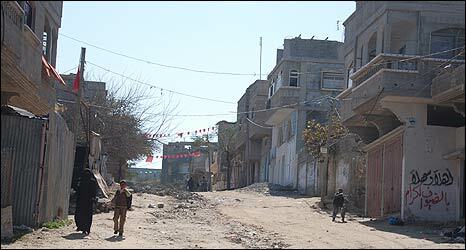 How can it when it beats down any talk of the self-determination of Palestinians? How can it when it feeds off the propaganda and deception that it is the only democracy in the Middle East? Without that title, without defining itself against the uncivil and immature Arabs, it loses a big chunk of its identity. For years, Arabs have been told over and over by their aging tyrants that they aren’t smart enough or wise enough or sophisticated enough for democracy. That they simply aren’t cut out for it. This rhetoric was meant to silence the people, to keep them thinking that the lousy governments they have now are better than not having one at all; as any real attempt towards democracy would ultimately lead to civil war, a failed state, or some other morbid scenario. It helped the tyrants maintain their illegitimate authority and defend their personal interests and financial gains at the cost of their nations’ best and brightest. But the people know better. They’ve proven that they’re smarter and wiser than that and have risen against the indignities imposed on them by their governments, but Israel insists on clinging on to the dying narrative that Arabs are an uncivilized people incapable of self-determination or democracy. By reinforcing these trite, racist labels, Israeli politicians are fooling only themselves, and their words are ultimately irrelevant because the reality of the actions of those on the street from Tahrir to Der’aa to San’aa speak much louder than this empty fiction.